Ellen Johnson Sirleaf is the the 24th and current president of Liberia, and is the first elected female head of state in Africa. She aided Leymah Gbowee in her protests against Charles Taylor at great risk to herself and was jointly awarded a Nobel Peace Prize with Gbowee and Tawakel Karman in 2011. Sirleaf is not Americo-Liberian by birth but many consider her such culturally (although she herself does not identify herself that way). Her mother had German and Kru ancestry while her father was Gola. Her father was sent to Monrovia and later became the first Liberian from an indigenous ethnic group to to sit in the country’s national legislature. 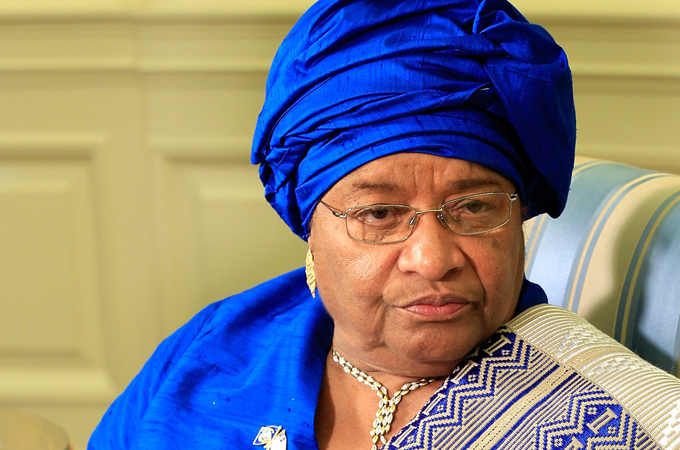 Sirleaf was born and grew up in Monrovia and studied economics and accounting. Prior to being elected she was a the Minister of Finance for Liberia and later after the coup of 1980 went abroad and held many senior financial positions. In 1980 during a military coup led by Samuel Doe, Sirleaf initially accepted a position within the new governmental regime but after a public speech criticizing Doe she fled the country and worked abroad until she decided to run in the general elections of 1985. When Sirleaf returned to Liberia to run she was immediately placed under house arrest and eventually sentenced to 10 years in prison. Following international calls for her release, Doe pardoned and released her in September of that year. She was also removed from the presidential ticket and ran for a senate seat instead. Although she won her seat, because the National Democratic Party headed by Doe won the presidency and a majority of both houses in an election widely known to be neither free or fair, Sirleaf refused to take her senate seat. Sireleaf was again arrested and imprisoned on November 13, 1985 by Doe’s forces after a failed counter coup by Thomas Quiwonkpa. She was finally released in the summer of 1986 and quietly fled the country later that year. Finally in 2011 after several failed attempts at gaining the presidency, Sirleaf again ran in 2005 and finally secured the presidency. Initially she vowed to only serve one term but in January of 2010 she declared that she would run again. In 2012 she began her second term as president. Although she has received mixed reviews in regards to her presidency, she has taken great strides to reduce the countrie’s debt and to increase transparency in the government. She has also cracked down heavily on government corruption. She has been criticized for many based on her political beliefs and practices, but her overall ability to bring the economy of Liberia back into a functional state due to a strong administration is still to be considered a positive gain for the country. Forbes has named her one of the 50 most influential women in the world and I will certainly be continuing to follow her as she continues her political career. Sirleaf, Ellen Johsnon. This Child Will Be Great: Memoir of a Remarkable Life by Africa’s First Woman President. New York: Harper Perennial, 2010.